If Mordor has SUMMONING as its official national orchestra, Rivendell should have ELDAMAR music as its anthem: this atmospheric black metal one-man project from Sweden, born from Mathis Hemmingby, after 2016 “The Force of the Ancient Land” is now releasing “A Dark Forgotten Past”, out for Northern Silence Productions. The main focus of this production is melody and we see it at first with guitar riffs: main importance is given to melodic riffs, more than fast and up tempos. Guitar job gives more thickness to the melody, layering around it. ELDAMAR with this approach is able to summon their desired Tolkien dreaming atmospheres, as it happens with outstanding “In Search for New Wisdom” and “A Secret by the Branches”. Although less centered on keyboards than the debut, “Another Journey Begins” and “Ancient Sorcery” show a great use of keys to enhance ELDAMAR melodies, with signature “bell” choruses. All this warmth given from these symphonic melodies is given more depth by the juxtaposition between harsh echoed vocals, long dirges of what is happening in the underwood darkness, and the angelic female voice in the foreground: a perfect balance is the result of this tension. In the album closing, “The Passing” and “New Understanding” we see melancholy rising, along with the emotional intensity given by this contrast of the angelic singing with the black vocals. 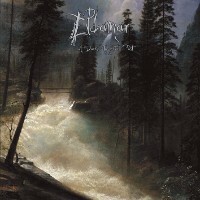 ELDAMAR was able to pack up an outstanding release, polished debut flaws and empowering their sound: on greener sound of the atmospheric black metal spectrum it is by all means one of the best releases in the scene this year. Given that, Mathias has potential to further grow and mature with the hopeful next releases.